Question 12: What words do you have for someone struggling with their faith? We've all said a time or two, "The problem with life is that it's so daily"! Horns honking, kids crying, TV's blaring, bills to pay, laundry to fold, and dishes to wash; we're all driven to distraction. Sadly, such distractions also limit our focus on what's really important. In fact, have you stopped recently to ask yourself what IS really important? Where is my focus? Have I become too narrow-so focused on today that my perspective on life has lost its meaning? Where is my vision? Gordon Mote speaks to this because he has chosen to focus on life's bigger picture. Gordon and his younger brother were both born blind, yet both clung to God's direction for their lives. Their vision-captivating, inspiring, illuminating, energizing-is embedded in their hearts. Gordon shares how God has used his blindness to see life through the eyes of his soul-eyes that remain focused on reaching the lost and restoring the discouraged. Without question, life's daily demands can cause us to constrict our vision. But without a vision, we lose sight of what's really important. Have you asked yourself what is important to you recently? What do you value? What are your fears? If you let go, what's the worst thing that could happen? Certainly, Gordon Mote could have feared letting go, failing, stumbling and falling; but he opened his hands to what Christ has allowed in his life. Are you willing to open your hands to Christ? I want to help you when you stumble and fumble through fears-so that you might find new light and life at the end of your tunnel. So please connect with me . . . let's talk through the challenges you are facing today and how to have a new and bright tomorrow. Gordon, who was voted "Top Piano/Keyboard Player of the Year" at the 44th Annual Academy of Country Music Awards in 2009, began playing piano at age 3 and toured with his family's singing group until his undeniable talent made him an award-winning Nashville session player with the likes of Brad Paisley, Alan Jackson, Rascal Flatts, Lionel Richie, and Alison Krauss. Gordon recently wrapped up a six-year stint singing and playing for the popular Gaither Homecoming concerts and recordings so that he could devote more time to his family and expanding solo career. The vocalist, producer, and keyboardist extraordinaire has been blind since birth, but his words and music reach beyond the ears to the heart. More than his undeniable talent, Gordon's fans appreciate his ability to communicate the love of Christ to a world in need of hope. All information for official site, media, links, resources, concert dates, and contact information can be found here: www.gordonmote.com/ or www.rsimusicgroup.com/promote/. 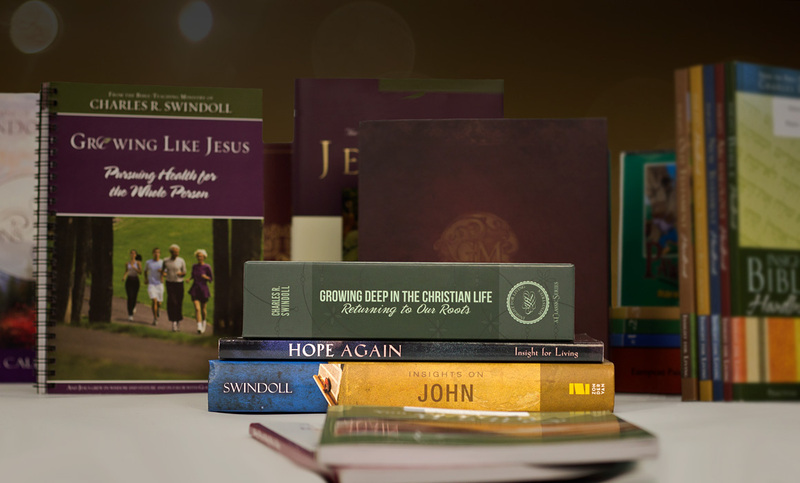 Insight for Living Ministries continues to expand its topical pages, offering incredible resources of help, hope, truth, and encouragement. Autism on the Seas offers cruise vacations for families, adults, and group homes living with children with autism, Down syndrome, and other intellectual and developmental disabilities. How did your parents handle having two children born blind? What accommodations had to be made to allow you to attend mainstream schools? Did you find acceptance among your peers? How did your faith keep you grounded through the tough times? What do you say to people who ask you why bad things happen to good people? Have you ever had a time when you wondered what your purpose in life is? How did you face the challenges your blindness gave you? How did getting married help you overcome one of your fears? Where do you get the inspiration for your songs? How did you learn about Insight for Living? What is one of the keys to reaching people with the gospel? What will life be like "on the other side"?